Demand for Skilled Talent Set to Grow Globally in the Last Quarter: Employers Report Positive Hiring Intentions in 43 of 44 Countries | ManpowerGroup Inc.
MILWAUKEE, Sept. 10, 2018 /PRNewswire/ -- Employers around the world are intending to increase their workforce in the fourth quarter of 2018, with 43 of 44 countries reporting positive hiring outlooks. According to ManpowerGroup's (NYSE: MAN) Employment Outlook Survey released today, continued positive employment opportunities are expected over the next three months with hiring confidence strongest in Japan, Taiwan, the U.S., Romania and Slovenia. Employers in Switzerland and Argentina report the weakest hiring prospects. The survey of more than 59,000 employers across 44 countries and territories shows hiring intentions strengthen in 22 countries, remain constant in eight and slow in 14. "We continue to see optimism from employers around the world in spite of tariff disputes, proposed new populist legislation and the uncertainty of a hard or soft Brexit," said Jonas Prising, ManpowerGroup Chairman & CEO. "Across most countries, hiring intentions are net positive, as access to skilled talent continues to be of critical importance for employers globally. In the Digital Age we're seeing organizations across all sectors undergo significant transformation. From Manufacturing to Services, roles are emerging that require new skills, creating mismatches between what is needed and what is available in an increasingly tight labour market. It's important for employers to create a culture of learnability so that their people are ready and able to upskill and adapt." EMEA: Staffing levels are expected to grow in 25 of 26 countries surveyed in the EMEA region. Employers in Romania (+19%), Slovenia (+19%) and Hungary (+18%) report the strongest Outlooks. The only negative Outlook across all countries and territories is reported in Switzerland (-2%). Employers in Germany forecast the strongest Outlook in seven years with the most optimistic hiring prospects reported in the Construction, Finance & Business Services, and Public & Social sectors, at +14%, +13% and +11%, respectively. In France hiring intentions soften slightly to +2% yet employers still plan to expand their workforce in 7 of 10 industry sectors and 4 of 5 regions, suggesting increasing confidence in recent labor policy changes. In Greece employers plan the highest headcount increases in over a decade (+16%) driven by growth in the Wholesale & Retail Trade sector as domestic spending grows with the improving economic outlook. UK employers continue to report modest hiring intentions (+4%) with a marked improvement in the Finance & Business Services sector, up 6 percentage points quarter-over-quarter. Asia Pacific: Employers in all eight countries and territories expect to hire more people in Q4 2018. Hiring Outlooks are strongest in Japan (+26%) and Taiwan (+21%). Global trade uncertainty seems to be impacting Chinese hiring plans as the Outlook falls by 4 percentage points quarter-on-quarter yet remains positive at +6%. The weakest sector for the coming quarter is Mining and Construction (+6%). Americas: Positive Outlooks are reported in all 10 countries surveyed with the U.S. seeing the region's most upbeat forecast (+19%). In the U.S., employers in the Leisure & Hospitality sector report the most optimistic Outlook, at +28%, its highest level since Q4 2016. This is followed by Professional and Business Services at +25%, the sector's strongest outlook in a decade and a continuation of an upward trend since 2008. Canadian employers continue to report positive hiring intentions (+14%) led by growth among large employers (+29%). Micro-employers (+4%) remain the most cautious. Brazilian employers report encouraging signs for job seekers in the coming quarter with an Outlook of +7%. The strongest industry forecast at +11% is in Manufacturing, improving by 9 and 10 percentage points respectively quarter-over-quarter and year-over-year. 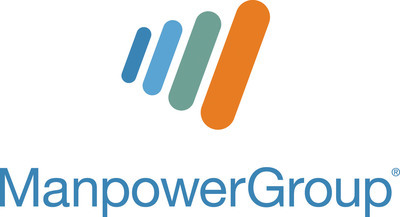 To view complete results for the ManpowerGroup Employment Outlook Survey, visit www.manpowergroup.com/meos. The next survey will be released 11 Dec. 2018 and will report hiring expectations for Q1 2019. To receive the latest survey results each quarter, sign up here. **No comparable data is available due to Croatia being added to the survey for the first time in Q2 2018. Croatia's Outlook has not been seasonally adjusted.